I got my first tattoo after I graduated high school when I was 17 yrs old. A small peace sign on my inner right wrist and the Sagittarius symbol on the other side of my wrist. I BEGGED my grandma to get those tattoos. "Ma I got my high school diploma. I'm about to be 18 and go to college. Can I pleaseeeee get one *crosses fingers behind back* I promise I won't get anymore!" Lmao. 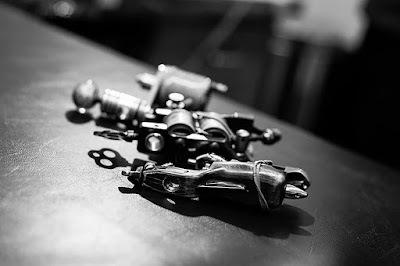 15 tattoos later, i've fallen VICTOR to the tattoo addiction lifestyle and the sweet sound of a tattoo gun and i'm still getting more. (Love you ma!) LOL. 2. What does it mean/symbolize? Just answer this question with "IT'S A CLEVER VISUAL METAPHOR USED TO PERSONIFY THE ABSTRACT CONTRAST OF THOUGHT'. I got this from the show Spongebob Squarepants. Trust me. Gets em' every time. Lmfao. 3. How much was it? I think people ask this question hoping you'll say somthing cheap like $20. SMH. 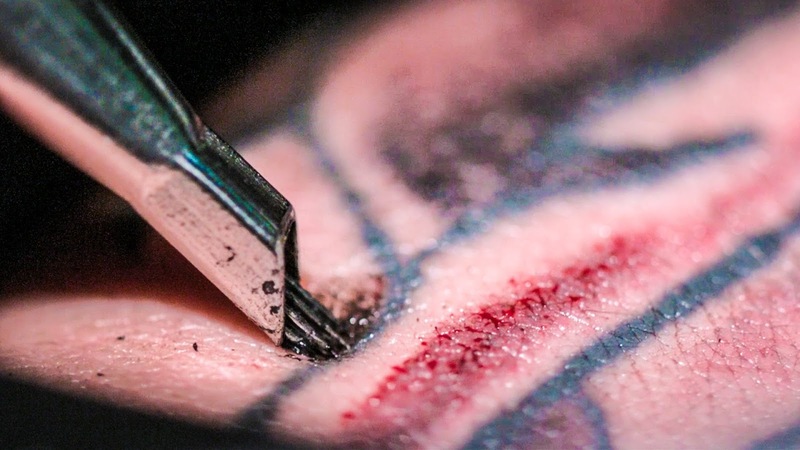 A good QUALITY tattoo is going to cost money. YOU-GET-WHAT-YOU-PAY-FOR. Save up for something nice. 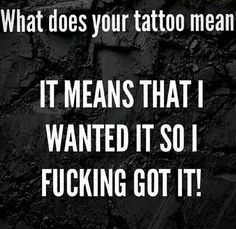 I mean it is on your body for LIFE. 4. WHY did you get it? 5. What shop do you get it done at? Because you're actually going to go there. Smh. But i'll tell you anyway! Tell them I sent you. Thanks. 6. Can you call your tattoo artist and ask when I can come in? Last time I did this, I booked an appointment for someone to get some work done with my homeboy at his shop. And that person never showed up. So guess who my homeboy got mad at? Yup me. SO NOW, I give the name, address, and phone number of the artist to the person interested. Feel free to book yourself LOL. 7. You think your tattoo artist can give me a deal? Again. 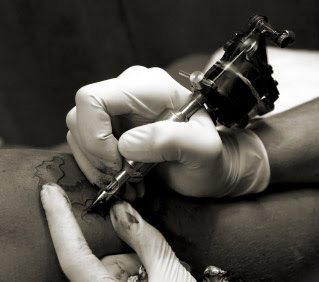 A good quality tattoo is going to cost money. People forget that being a tattoo artist is an occupation too and most artists LIVE off of the money they receive from tattooing. 90% of the time if you continue to go to the same artist/shop you'll receive a DEAL for being a LOYAL CUSTOMER anyway. Tattoos are not handouts or a Deal-R-Us. Please stop. Lol. 8. What tattoo do you think I should get? 9. Do you realize how bad/ugly your tattoos are going to look when you get old? 10. Are you going to get any more tattoos?